And the last place we want to be is in the kitchen. 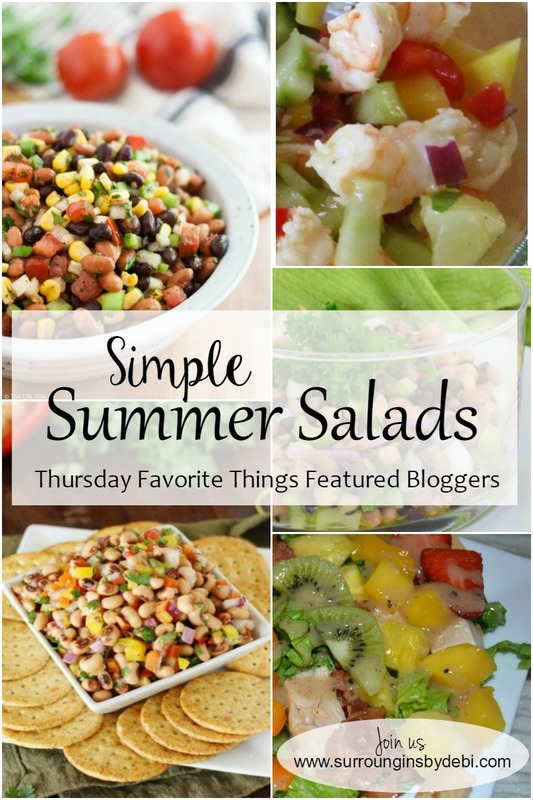 But with this week’s features from the Thursday Favorite Things Link Party you are sure to find some delicious Simple Summer Salads that will be sure to help you keep the heat out of the kitchen but still offer a delicious meal. 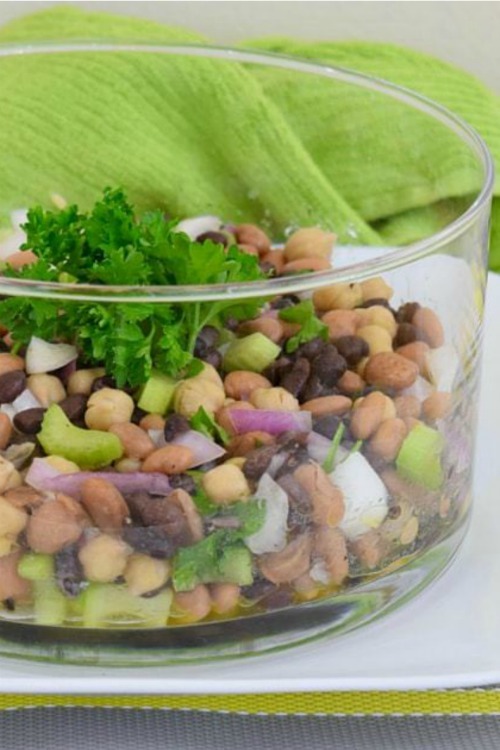 Lauren from The Bikini Experiment tossed up this wonderful recipe for three bean salad. Naturally low-fat, gluten-free and dairy free. How’s that for a healthy meal? Want a colorful salad? 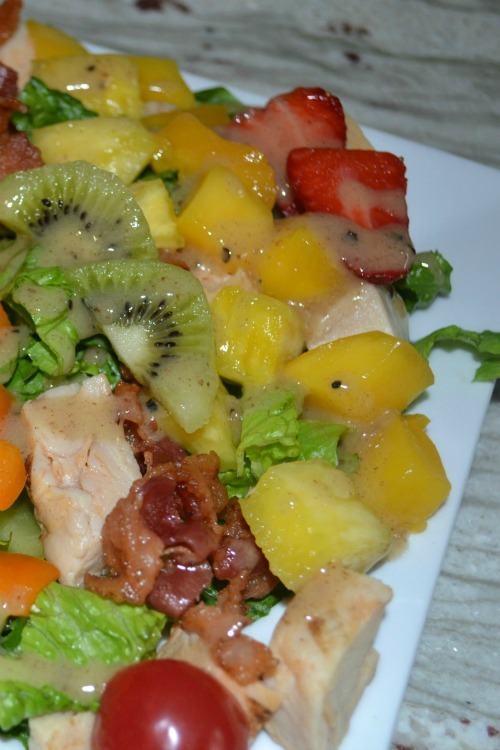 Pamela of Grandma Honey’s House put together this Caribbean Chicken Cobb Salad with things she already had on hand. It looks wonderful! 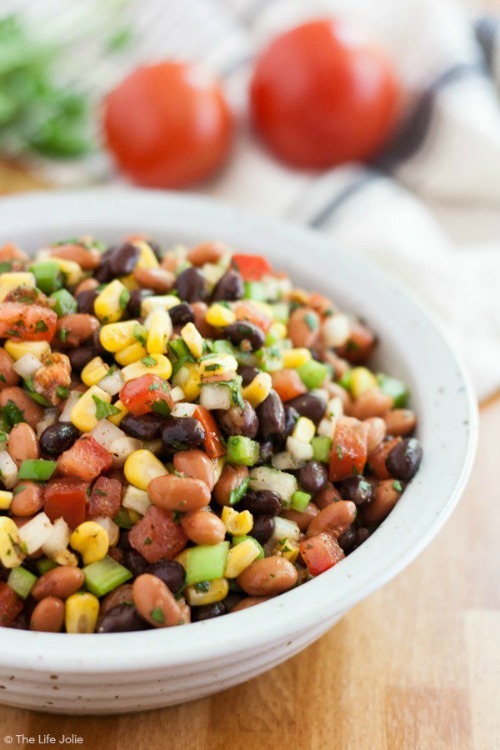 I love beans in my salad and Jolie of The Life of Jolie added a bit of flair to hers with her Mexican Bean Salad. I love the story of how she came to love this salad. 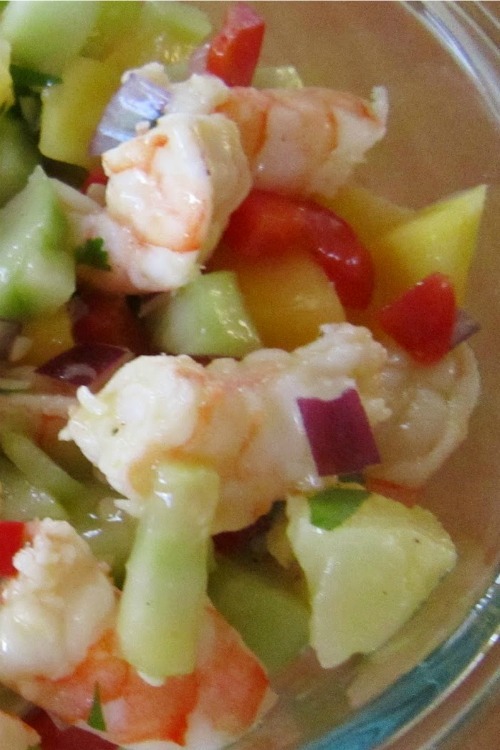 Jan of Frugal in Florida tempted me with her Shrimp with Cucumber and Mangos Salad. I can’t wait to try this combination for a simple summer salad! Ok – now this last one is not really a salad but it just looked so good that I had to share it. Tracy of The Kitchen is My Playground always shares wonderful recipes. 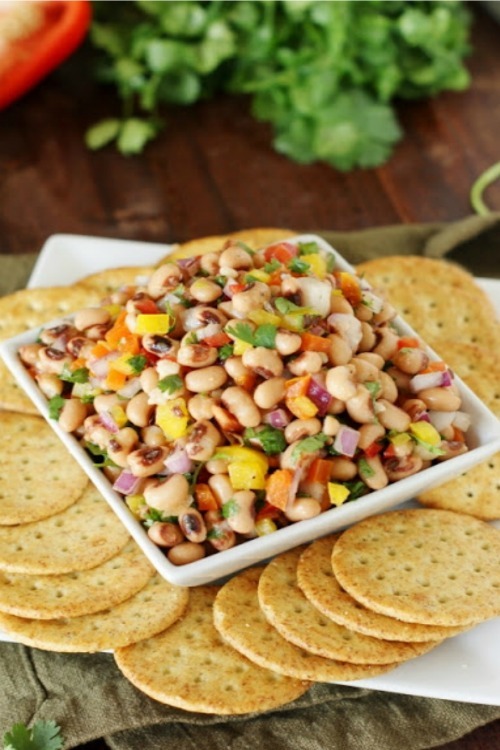 I think this Carolina (or Redneck… or Texas) Caviar could almost serve as a salad too! Let’s begin the Thursday Favorite Things Link Party No 249! Have fun! We look forward to all you will share at the Thursday Favorite Things Link Party No 249! All of the hostesses are now selecting their favorites to share in features on their blogs each week. Share your best work!